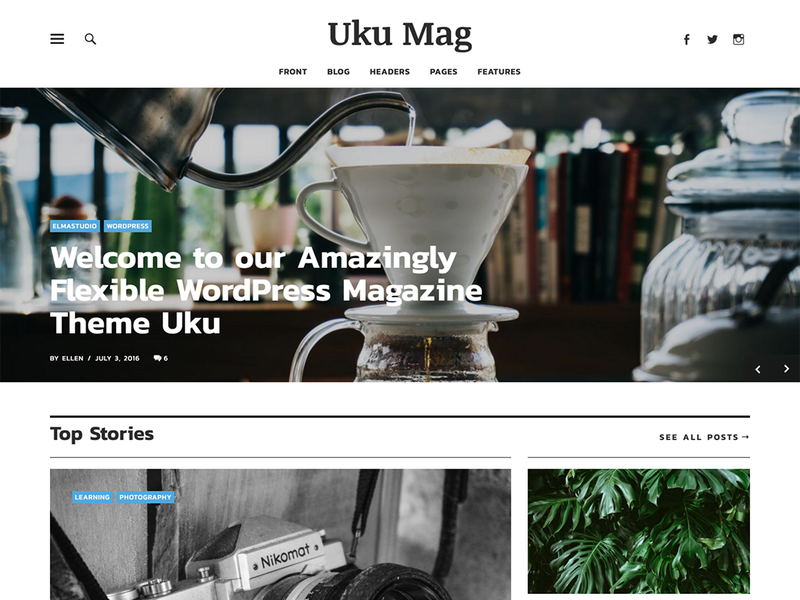 Uku is a super flexible, responsive Magazine WordPress theme with a modern, bold and beautiful design. You can customize Uku with multiple flexible options, e.g. by adding additional posts sections on the blog front page or by showing a post slider or header image at the top of your front page. You can also change the sidebar layout, add menus and a big advertisement area to your footer.